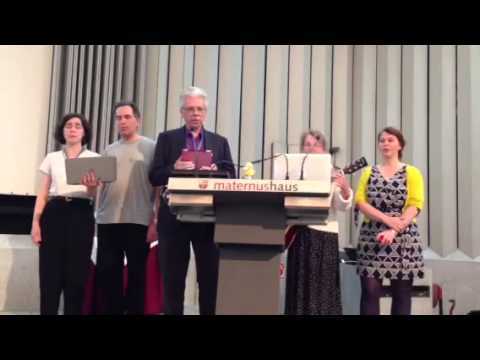 iassist 2015: the conference song! Here it is, at long last - the words to the 2015 IASSIST conference song! Thanks to: Melanie Wright for her excellent guitar work, singing, and help with lyrics; Lisa Neidert, for lyric ideas; and the self-proclaimed Data-ettes (Daniel Edelstein, Joanne Webb, Kakia Chatsiou, Mandy Swygart-Hobaugh, Victoria Mitchell), for their enthusiasm and wonderful work singing the choruses. A link to a video will be added once someone informs me of its existence! We said "Now it was time to go"
Food & drink to make us smart. Tweets make us feel we're not alone. the divide in the Internet? Constructive arrogance and more yet. Bergen surprised with trolls and metal death. What an amazing conference it was! See you all in Bergen next year! Improv -- way to go! Is the long time before we meet again. if, at any point, you want to pick up some groceries, there's a huge grocery store -- right next to the Mattamy Centre (site of the Tuesday reception) -- known as Loblaws at Maple Leaf Gardens; check out the 'Wall of Cheese"! if your taste runs to reading, there's an Indigo store (Canada's major bookstore chain) about 10 min from the conference hotel by foot, on Yonge St.
As far as food and drink go, the variety you'll find in the city, even restricted to the downtown area, is nothing short of remarkable; there's even a multicultural food court just down the street from the conference venue. Later this week we'll be adding to the above links a personal guide to eating and drinking establishments prepared by one of our volunteers. Many thanks to Kate, Dan, and especially Melanie for this year's bit of silliness. Thanks once again to Lynda Kellam for the video. Give us so much to do. Pecha kuchas filled the day. Make data folks say "mooooo". We all start going home. The banner finds a new home. We'll drink the better beer! The May 21 issue of Boing Boing describes the InfoBunker, a "Cold War era government command bunker converted into a data center". I realize that they're not referring to the same kind of data center we mean, but it was kind of fun to read about a data center that has "a self-sufficient power systems (six days' worth of diesel fuel; 17,000 gallons of water (for drinking and fire suppression); military-grade NBC air filtration). It's built to withstand a 20-megaton nuclear blast at 2.5 miles, according to the website, and I can believe it. Your data will be intact even if the rest of the Internet has been vaporized."